Alcohol is a dangerous drug. It is toxic to the body and as it is metabolized it changes into a known carcinogen. Not only can excessive alcohol consumption cause many physical and cognitive consequences, it can also cause a variety of social, economic and legal problems for the drinker. In fact, that is a key symptom of an alcohol problem - if the person continues to drink in spite of all the problems it causes. Unfortunately, alcohol consumption can become much more than a bad habit. Long-term or chronic alcohol abuse can result in severe alcohol abuse disorders, which if left untreated can be fatal. What do some people become alcoholics while others do not? Why do some people suffer serious negative health consequences of alcohol consumption while other drinkers don't? Scientists believe the differences in how the body metabolizes alcohol may be the key. How much alcohol is too much? Is there a safe level of alcohol consumption? What are the symptoms of an alcohol abuse disorder? What is the difference between a mild, moderate and severe disorder? Answering these 20 questions will give you an idea if your drinking patterns are safe, risky or harmful. The test is completely confidential and anonymous. 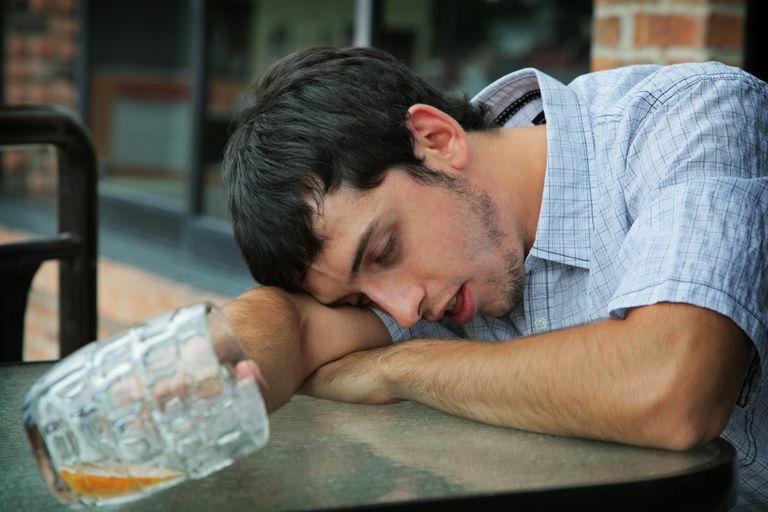 Frequently asked questions about alcohol problems binge drinking and alcohol dependence. But It Doesn't Act Like a Disease! Alcoholic liver disease is only one negative health consequence of long-term excessive alcohol consumption, but it's a killer. Why is drinking alcohol so damaging to the liver? Research has found that, even with prolonged sobriety, alcoholics show deficits in visuoperception and frontal executive functioning of the brain. Many people who have a problem with alcohol are not alcoholics and in order to quit drinking, they do not necessarily need medical treatment peer group support or a spiritual awakening. When long-time drinkers or heavy drinkers decide to quit cold turkey they can experience withdrawal symptoms that can range from mild to severe and even life-threatening. For those suffering from the disease of alcoholism, it seems to be an almost universal truth that before things can get better they have to get worse -- sometimes a lot worse. Unfortunately, when many former drinkers go through the grieving process over the loss of their old friend the bottle some never get past the anger stage. The 12 Steps Not for You? If spiritual based approaches to recovery are not for you, there are many other programs and methods available. Neurotransmitters Key to Treating Alcoholics? Researchers believe they have found a cellular mechanism underlying alcohol's effects, that when blocked can stop alcohol's effect on the brain. If you are chemically dependent on alcohol, you may need medical assistance to avoid severe withdrawal symptoms. Here's where to find a treatment center near you.